Laflamme’s self titled EP has kicked up a storm in social media. People are loving their classic punk rock sound, it’s something we just don’t get enough of in today’s music scene, but these guys are rockin’ it! The band itself is just over a year old, still quite young in the grand scheme of things, but you wouldn’t think it to hear their music. Plus, they’ve already got a huge list of massively successful performances behind them and more coming up in the south of the UK. To sum it up nicely, if you liked The Ramones, you’ll like these guys. And that’s pretty much all there is to it! But it’s not just The classic Ramones sound that the band are channeling. 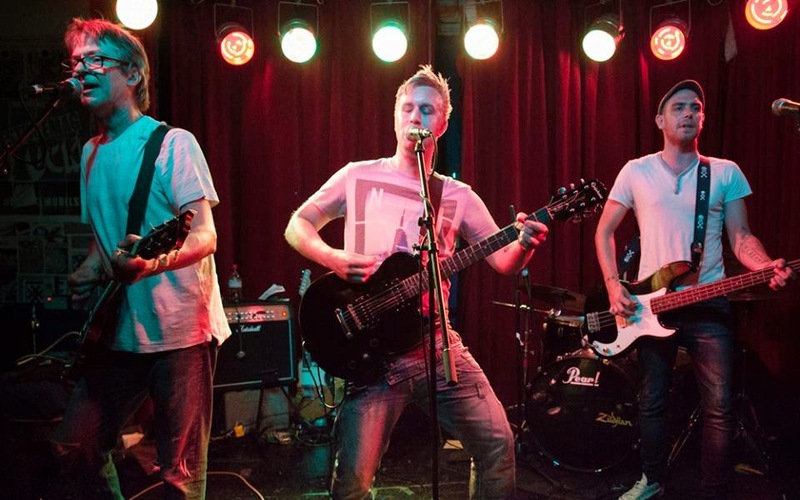 In their third track of the EP, Streatham Strip, there’s a bit of Angus Young coming through in their simple yet enticing riffs that reflect that ACDC sound and the short jabs of yelling vocals just add to that more. This record brings a real party atmosphere to your room, I can imagine these guys must be fantastic live. The EP is full of energy, the lyrics are sing-along-able from the first listen, and the band themselves not only have the right sound, but the right image to put on a proper good show. Their brilliant bass lines, catchy guitar riffs and ace vocal hooks, all held tightly together by some real good beats make Laflamme a band to catch. I can guarantee that if you listen to the first track, you’ll be hooked. I mean, that opening bass… It’s just a fantastic build up and when everything comes in it’s really quite grungy. It sounds like real life, in-your-garage punk. The riff itself reminds me of the Scott Pilgrim soundtrack. Don’t hate me for that, but you know what I mean when I say it’s that raw sound of a young band finding it’s feet. That’s the best stage of a band. Sometimes a band can lose that real gritty energy as they grow. I hope the same doesn’t happen with Laflamme because I am loving this EP! Not only is it musically spot on, but the lyric writing from lead singer Richie Lambert are absolute genius. Give it a listen on the above widget, I dare ya.